Anchored by a Jack Nicklaus Signature Golf Course, The Reserve at Lake Keowee’s Board of Directors has announced the appointment of Alexander Raimondi as the property’s new Community Club Manager. Raimondi, who began his new post on April 21, has enjoyed a long and distinguished career in successful private club management, with emphasis in staff development, financial planning and marketing. The Reserve at Lake Keowee said farewell in late February to Charles (“Chuck”) Pigg, who retired as The Reserve’s Community Manager after serving since the community was founded in 2000. Raimondi has extensive experience in private club, country club and community association operations. He served as General Manager/Chief Operating Officer at the prestigious Wilderness Country Club in Naples, Fla.; The Polo Club of Boca Raton in Boca Raton, Fla.; and The Nashawtuc Country Club in Concord, Mass. Raimondi is an active member of the Club Managers Association of America. Raimondi’s personal management philosophy is that a club manager must possess integrity, trust, perseverance and passion for the club he serves. Raimondi also regards communication, training and leading by example among his highest values. He is continuously engaged in and believes highly in professional development for himself and his staff. The Reserve received Real Estate Scorecard’s 2014 Bliss Award for Best Lake Community of the Year, as well as The Greenville News’ 2013 Best of the Upstate Best Community. 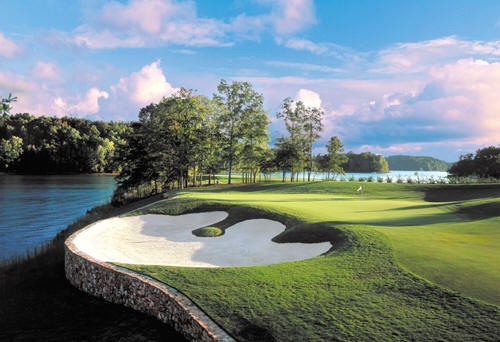 The Keowee, South Carolina, course was designed by Jack Nicklaus and opened for play in 2002.